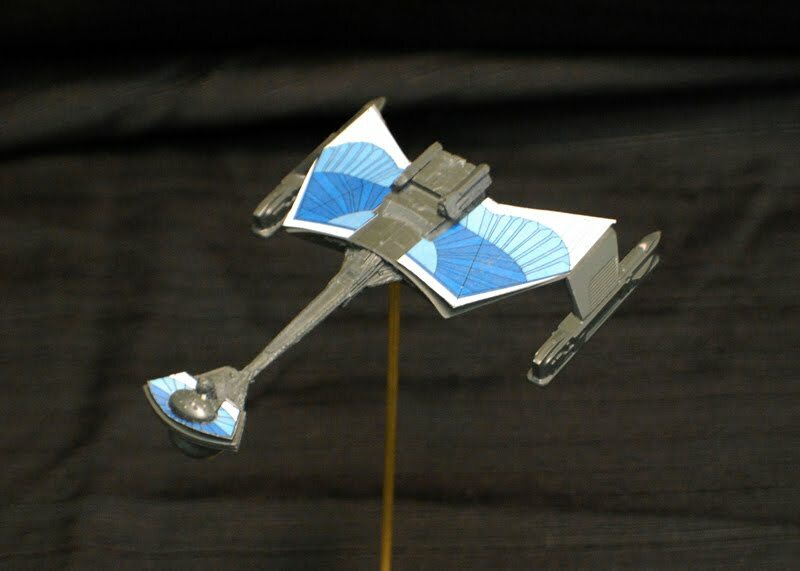 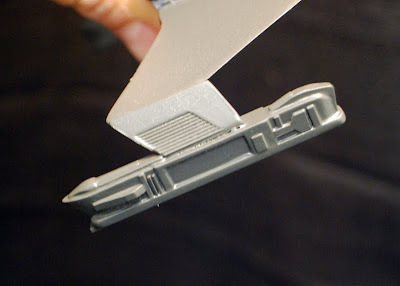 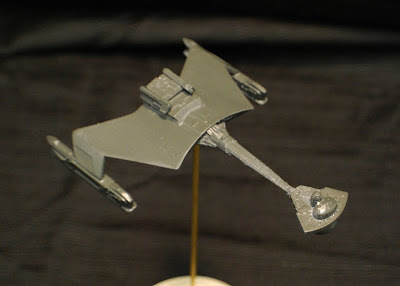 I started by building custom nacelles based off the diagrams out of various styrene shapes and 2 nacelle struts form the old 3 piece starship set. 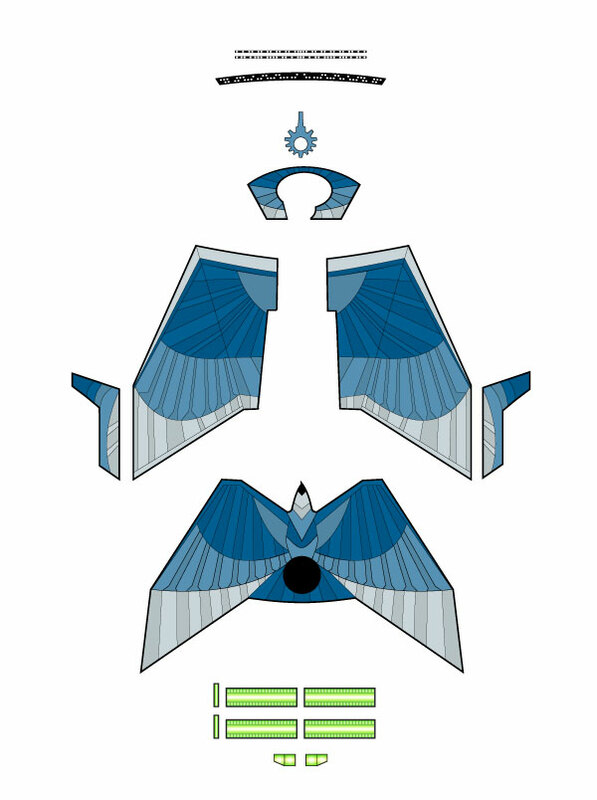 I sanded off the K'tinga wing pattern on the top and bottom of the model and I designed a custom decal sheet in Adobe Illustrator for the feather pattern that fits over it. 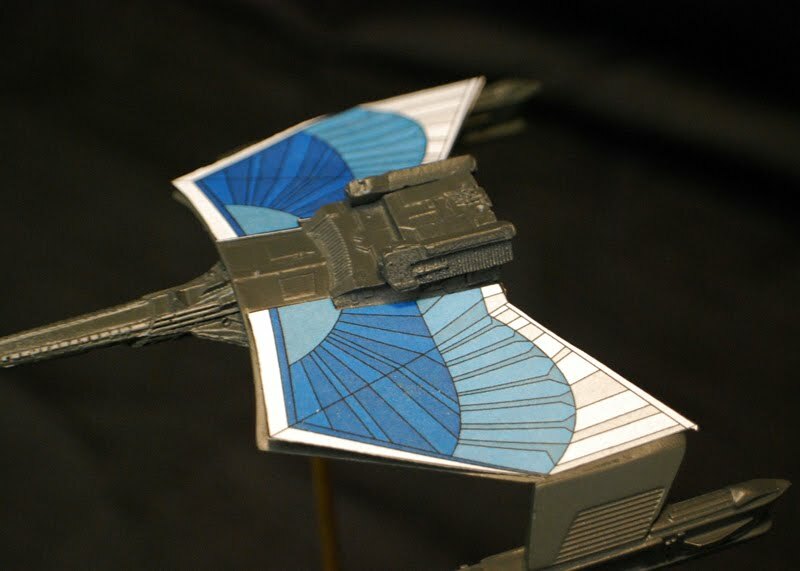 Can these decals be made into any size for models? I like what you did. 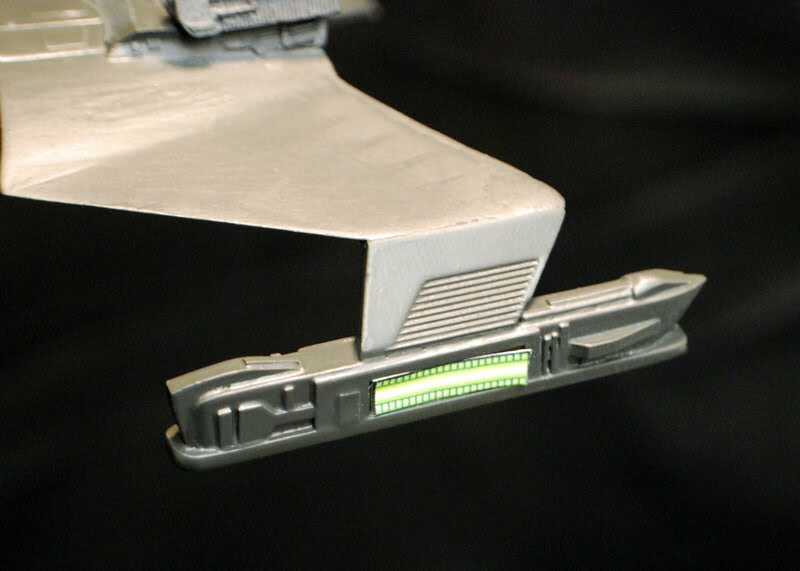 It's beautiful, though I would've colored the ship with the green color they use on ST:TNG. I feel the nacelles on this battlecruiser in the game more reflected the upgraded starships of the Wrath of Khan to The Undiscovered Country to Star Trek The Next Generation. More of a technological advancement after the Romulan-Klingon alliance failed.